Know your Swamy: When Swamy called him(Kanshi Ram) his guru and predicted that she( Mayawati) would one day become PM! When Swamy called him(Kanshi Ram) his guru and predicted that she( Mayawati) would one day become PM! 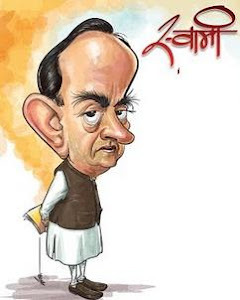 Subramanian Swamy sought to use the occasion of B.R. Ambedkar's birth anniversary celebration in New Delhi on April 14, when a book and a cassette on Mayawati were released, to persuade the Bahujan Samaj Party to go along with the rest of the Opposition. Subramanian Swamy called Kanshi Ram his guru and predicted that Mayawati would one day become Prime Minister. He claimed that he was invited to the function by BSP leaders, and that it was a signal that the BSP would vote against the Government.